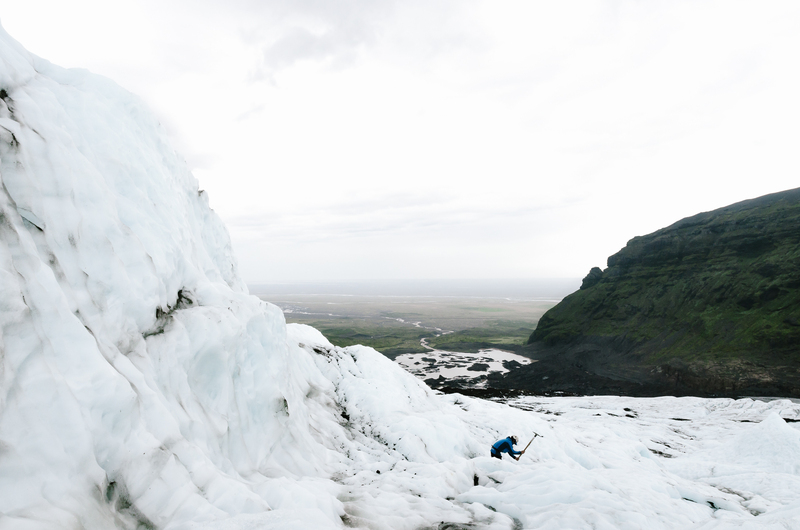 There is an area in Iceland where you can find all the ice and glaciers you need. When you continue to drive along the south coast of Iceland you will find many glaciers in the Vatnajökull National Park. You will be amazed and surprised by blue and white ice chunks. 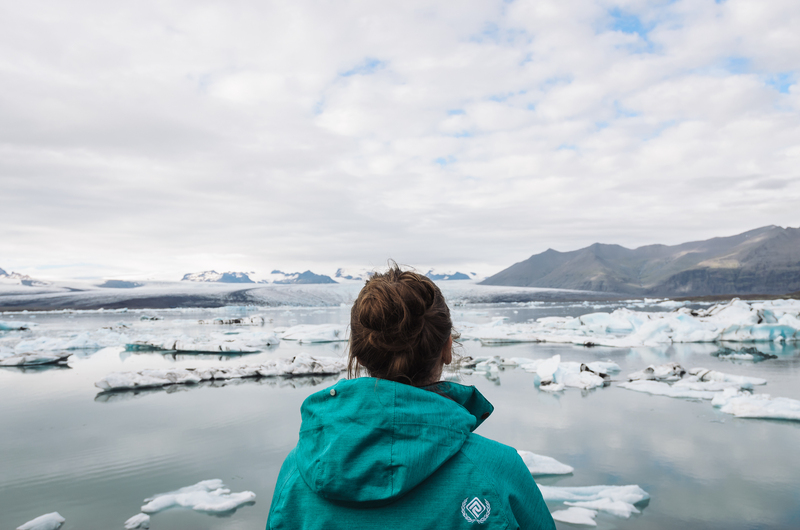 This blogpost is about a glacier walk near Skaftafell and the surreal lake of ice called Jökulsárlón Glacier Lagoon. 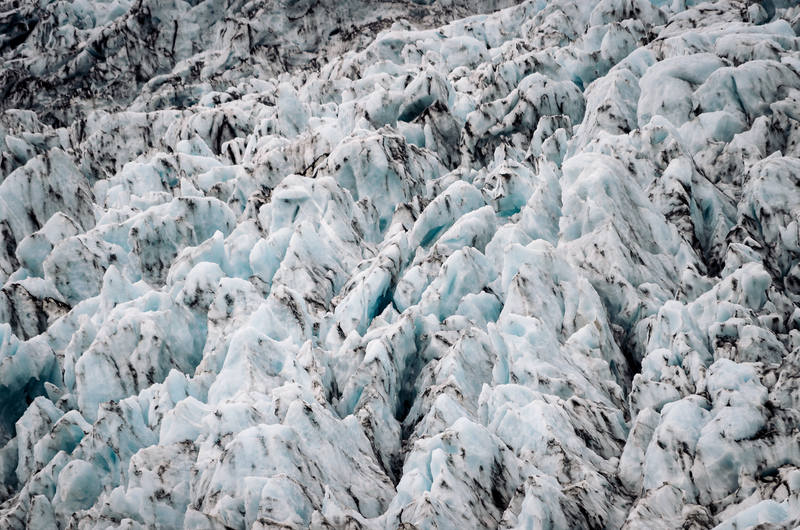 To fully experience the force and the size of the glaciers we were certain to book a glacier hike. We booked a glacier hike in advance at Glacier Guides. 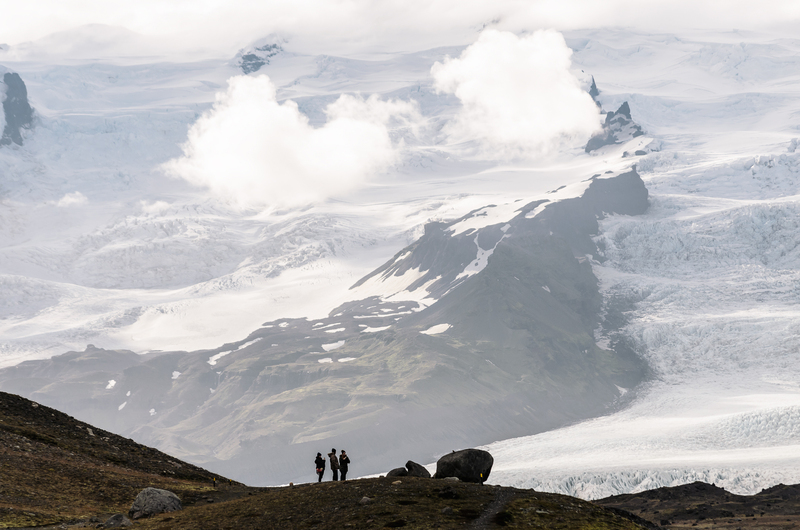 There were a few different hikes available in Vatnajökull National Park. We chose the Glacier Explorer. This is a tour that takes about 5.5 hours and is of moderate difficulty. Easier hiking routes for kids and harder climbing routes are available. The tour departed at the visitor centre in Skaftafell. Before the start we received some equipment that we would bring along the hike. This included a helmet, an axe and crampons for walking on ice. Make sure you bring your own hiking boots and wear different layers. You’ll probably want to take some clothes off when you are climbing for an hour! 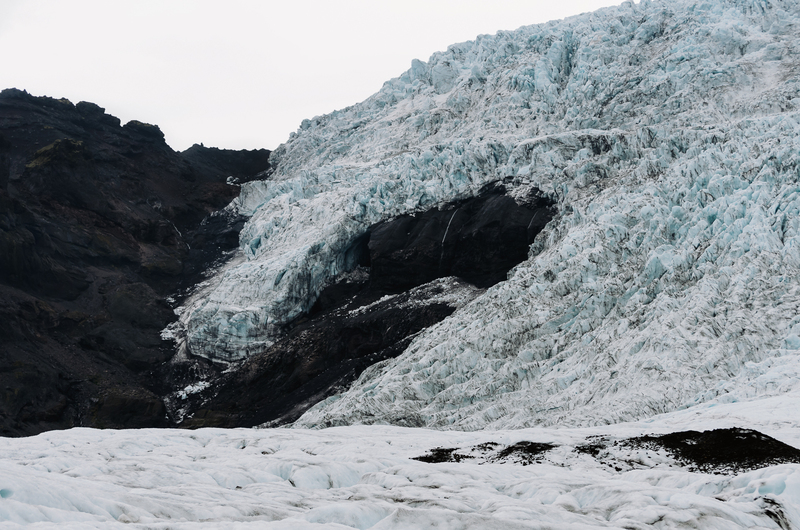 We departed in a bus and drove to the bottom of the glacier Virkisjökull. We walked for about 20 minutes before we arrived at some ice. Here we received a safety instruction, learned how to put on the crampons and how to (and how not to) walk with them. It is amazing how safe you feel on the ice with these things on! Our group consisted of 8 participants and two guides. The guides were from Germany and Chili and worked in Iceland for a few summers. They shared their experiences as a guide and told us about the glaciers in Iceland. Moreover, one guide showed us one of his tricks: juggling with 3 axes! We walked through a land of ice formations and amazing blue colors. There were some deep holes and crevasses. The guides kept us safe by carving out a path aside these crevasses with their big axes. We walked until we arrived at an icefall. An icefall is kind of like a waterfall but with ice. At the bottom you can walk between high and steep walls of ice. 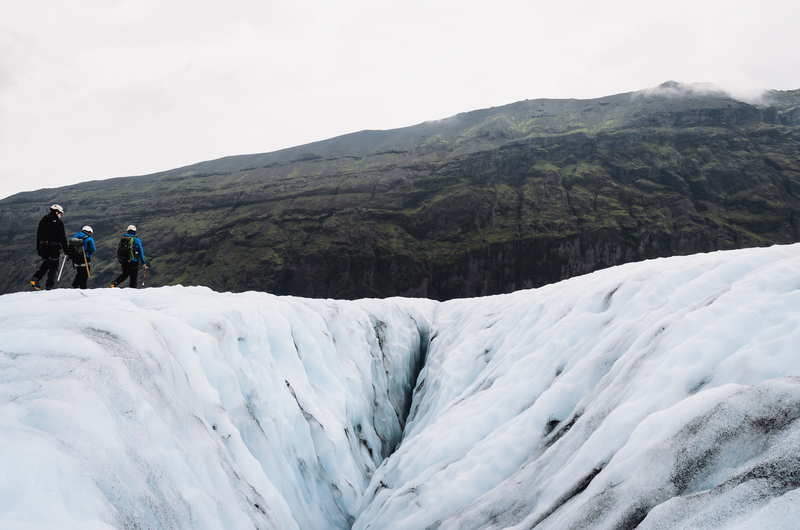 The glacier hike in Skaftafell was amazing! It was fun to walk on the crampons and the blue ice and the ice fall were breathtaking. I would recommend everyone to go for a glacier hike when you’ll have the opportunity! Mind that the glaciers are very dangerous, so never walk on them without a guide. Just after Skaftafell you’ll find an unpaved road towards the Svínafellsjökull. You can park your car next to the bottom of the glacier. Here you can walk a bit along the glacier. 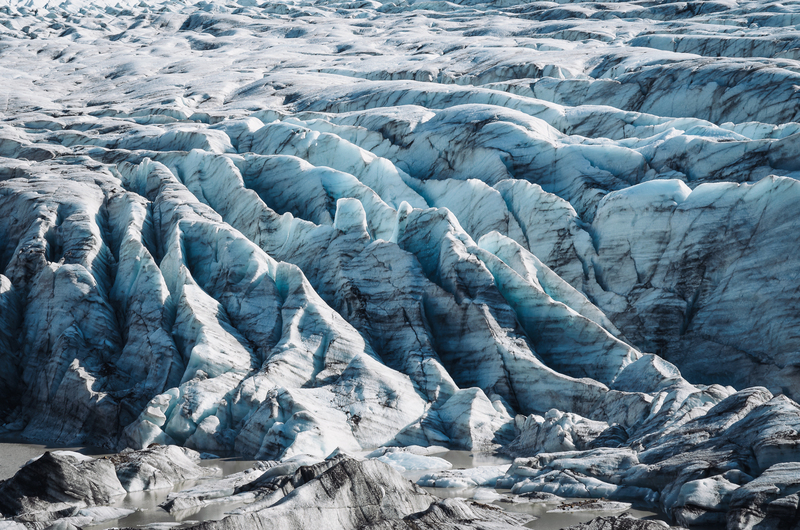 You’ll have a great view of the blue ice and the crevasses. This is a good spot to view the enormous glacier from up close. 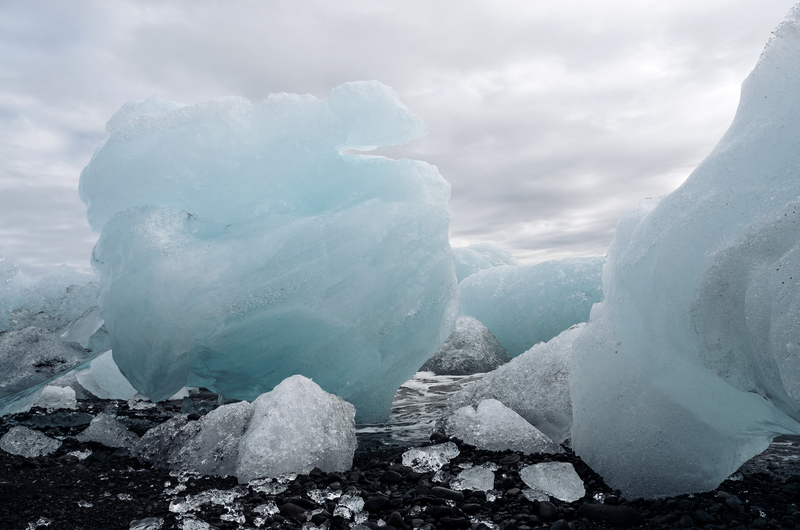 After you have hiked on the beautiful glacier you could continue your journey towards an amazing and unreal part of Iceland: Jökulsárlón Glacier Lagoon. It is situated at the head of the Breiðamerkurjökull glacier. When you arrive here you’ll find a lake full of floating icebergs. In the background you can spot the glacier from which these icebergs broke off. 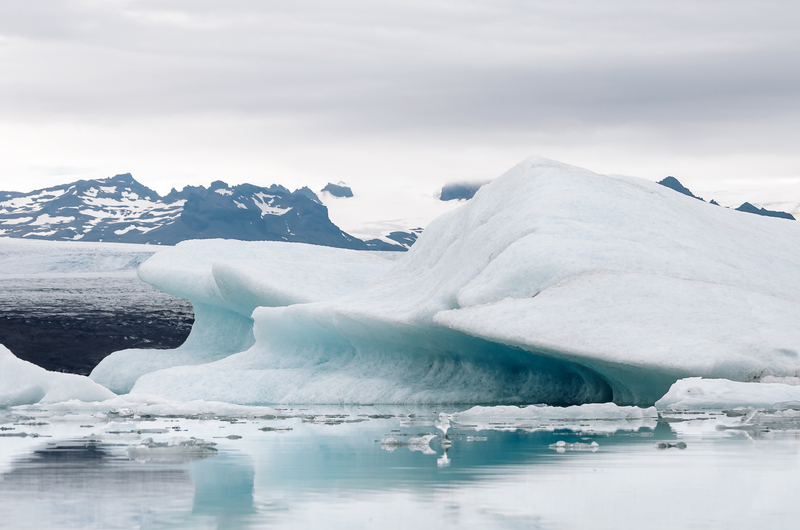 The icebergs float very slowly towards the lake’s shallow exit towards the ocean. 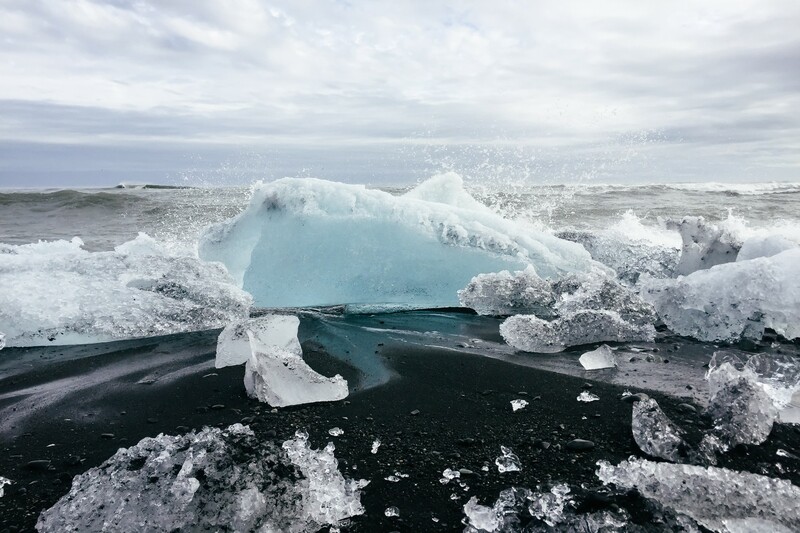 Once they reach the ocean the big chunks of ice break and melt into smaller pieces. In winter the lake freezes and locks the icebergs into place. 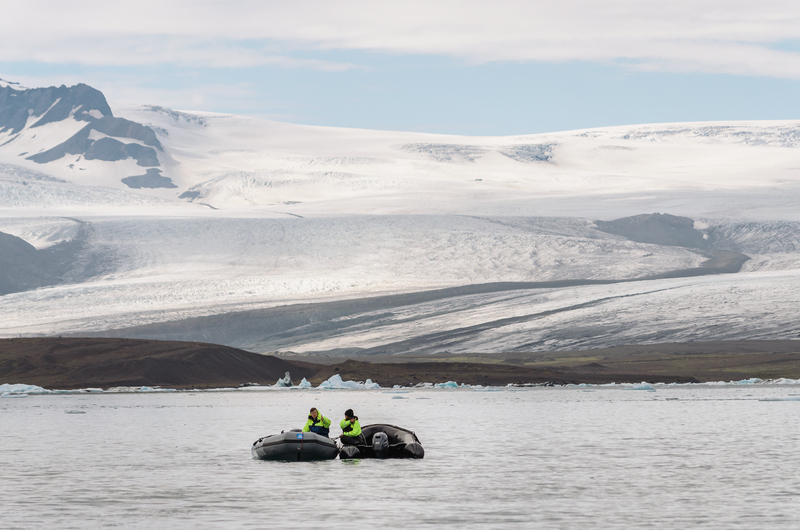 It is possible to book a boat tour that brings you closer to the icebergs. We also booked a boat tour but this was unfortunately canceled. Jökulsárlón is one of the best places in the world to relax and listen to the sound of icebergs floating by and bumping against each other. The sound is so relaxing! If you are here find a spot next to the lake away from the parking lot. 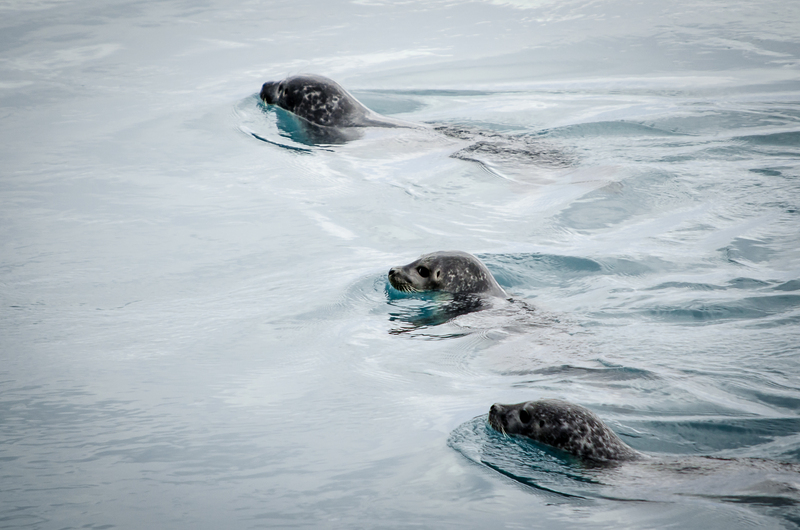 You can really clear your mind and watch the seals swimming under and aside of the icebergs. All those icebergs together in one place form an amazing view. A view you’ll never forget! After you are amazed by the Jökulsárlón don’t forget to go to the seaside. Just follow the icebergs floating towards the sea. Here you’ll find Diamond Beach. You’ll encounter big blue icebergs or small shiny diamond like ice blocks along the coast line. It is possible to walk between them and see the huge ice blocks up close. Jökulsárlón was one of the highlights of our trip. We went back the next day to experience it all over again! We would love to go back again some day. 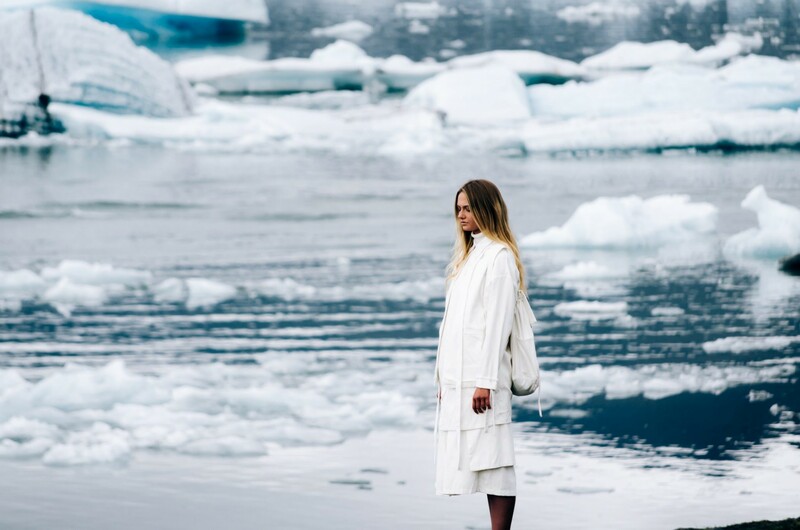 Have you ever been to Skaftafell or Jökulsárlón? Share your photos or experiences with us, we would love to hear them! May i asked where you stayed? We were thinking in Vik?!? Also, what time of year did you go? We are leaving in 2 weeks. Hi Courtney! We’ve stayed in Vïk after our trip from Seljalandfoss to Vík. Then we continued our trip to Jokülsarlon and spend the night near Höfn. The next day we drove from Höfn back to Skaftafell. We stayed at Höfn because we continued East after these two days at Jokülsarlon and Skaftafell. We went here the third week of september last year! I think you are traveling in a good time of the year to Iceland! Please feel free to ask more! And above all have a great time in Iceland! Do you mind telling me exactlty what tour did you booked? Did it included hiking to the skaftafell ice cave ? Any advice for a 5 day trip to iceland in september ? Hi, we booked the Glacier Explorer at Glacier Guides. There wasn’t a ice cave available nearby at that period of time. For a 5-day trip I would recommend the areas: Reykjanes Peninsula, Golden Circle and Glacier Lagoon. 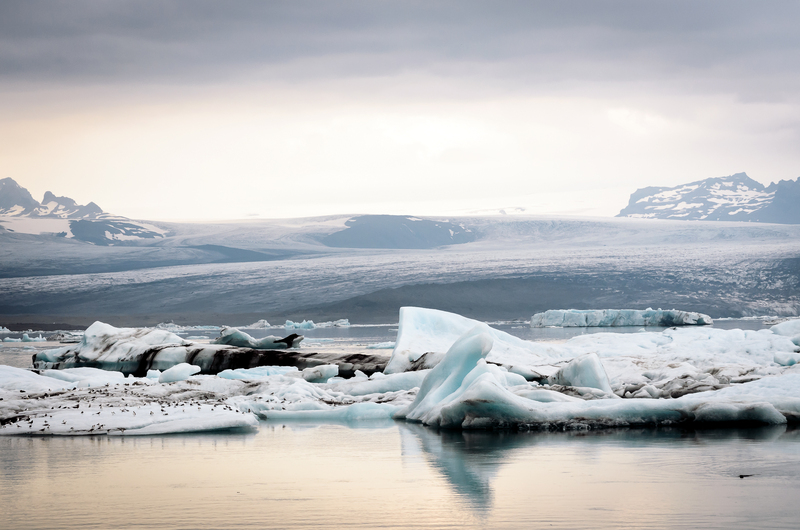 You can find these areas in the other blogposts about Iceland!